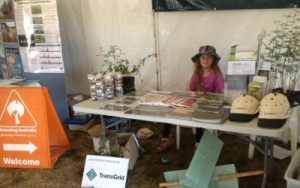 Winner of the NSW Premiers Public Sector Award in 2011, TransGrid’s GreenGrid partnership with Greening Australia directly engages farmers and the wider community to conserve, grow and plant native vegetation, and improve understanding and practice of natural resource management. TransGrid’s high voltage network is the largest in Australia and consists of over 12,400km of transmission lines and more than 82 substations and switching stations across NSW. TransGrid recognises its responsibility to manage and protect the environment in which it operates. By directly engaging farmers and the wider community in better vegetation management to answer Australia’s most critical environmental problems, TransGrid’s GreenGrid partnership with Greening Australia brings together TransGrid and Greening Australia staff and the community to conserve, grow and plant native vegetation – and improve understanding and practice of natural resource management. Winner of the NSW Premiers Public Sector Award in 2011, and finalist in the United Nations Associations World Environment Day Awards and Banksia Awards in 2011, the GreenGrid partnership has helped to improve the health of the environment through significant work on the ground, and has helped to develop a spirit of environmental cooperation between TransGrid, landholders and the wider community. Aside from learning more from each other through staff technical training exchanges, TransGrid and Greening Australia have sought to invest in the wider community, improving understanding of sustainable land management through provision of practical information underpinned by incentives. As a res Jeremy Wilson, long term GreenGrid landholder from Yass with GreenGrid revegetation in background. ult GreenGrid is a household name in its area of operation. 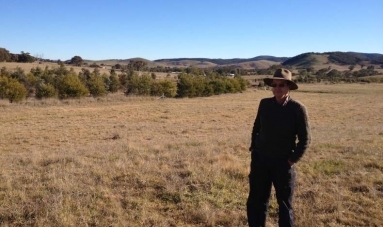 GreenGrid has assisted 494 farmers to rehabilitate and protect over 2,100 hectares of private land in south east NSW. Between them they have erected 470 km of fencing, planted 314,844 tubestock, and direct seeded 2,230 km in a variety of ways to improve environmental outcomes within the context of their specific farm planning strategy. Landholders have contributed $2,209,243, maximising the $2 million contribution from TransGrid. This translates into shelter for stock, better grazing management, increased habitat for birds and connectivity between remnant vegetation, and sequestration of around 3,000 tonnes of carbon per year. TransGrid also provides support for the long term multi award winning Boorowa River Recovery project, by providing much needed funding for long term maintenance of sites. During the course of over 270 community events, 4,221 volunteers have contributed more than 28,275 hours to propagating and collecting seed, planting tubestock and undertaking site maintenance. Volunteers are diverse and include school groups, businesses, retirees, university students, government agencies, Scouts and Girl Guides. Volunteers provide significant assistance with on ground works and in return gain knowledge, feel a sense of satisfaction of assisting with something tangible and enjoy getting out and being active. 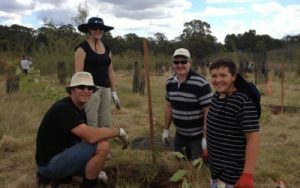 The tree planting day marked another step forward in TransGrid’s mission to become more environmentally sustainable, with representatives from Greening Australia on site to provide the plants and tips on how to exercise your green thumb. It was yet another example of how working together can deliver some of the best results.